3 reasons why you should invest in Talegaon for long term returns! Pune is a beautiful city in the state of Maharashtra that is known for its education hubs, job opportunities, lush greens, low air pollution and so much more. Without a doubt, this city goes through constant development each day, offering its inhabitants with only the best and nothing short of it! As the number of people in Pune keeps increasing, the real estate market in Pune is booming with a number of residential as well as commercial projects throughout the city and its outskirts as well. Today, this city is the ultimate destination for investors and new home buyers as well. Out of the many locations in Pune, Talegaon is a location in the outskirts of Pune that many real estate and investors have shifted their attention to and the reasons for the same are many. 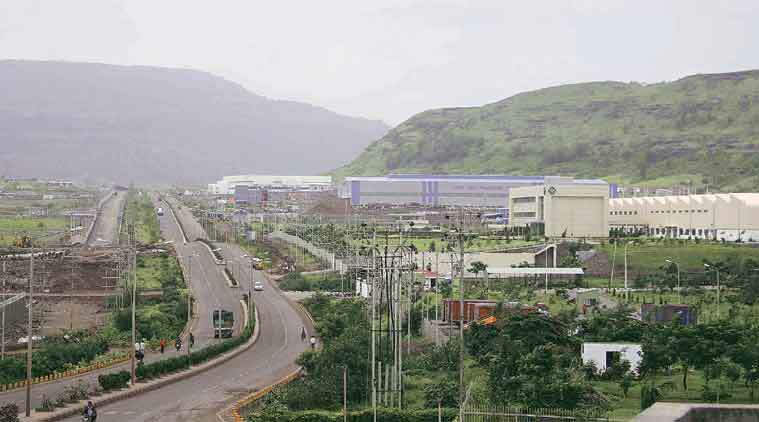 As Talegaon sits between Mumbai Nashik and Pune, it has turned into a base for a number of MNCs. This has given rise to a number of job opportunities in Talegaon, increasing the number of people entering this location at the end of the day. Out of the many, automobile manufacturing companies has attracted a number of people to this incredible location. Hinjewadi is a major IT hub in Pune with around 40,000 IT professionals working at Hinjewadi. Being about 30 minutes away from Hinjewadi, Talegaon is the most preferred location to stay today as it offers fast and easy connectivity. Residing in Talegaon or even investing in a holiday home has major advantages as this location comes in close proximity to Mumbai through the Mumbai – Pune Expressway and the old Mumbai – Pune Highway as well. People heading to places like Lonavala can invest in Talegaon and purchase holiday homes where they can simply relax and have a good time. Infrastructure in Talegaon has gone through a significant change over the past couple of years and this location keeps growing by the day. While the property value in Talegaon is not very high at the moment, it will not be too long before the property value touches the sky, giving investors definite profits of pure satisfaction. While the number of real estate companies creating projects in Talegaon are many, choosing the right project will definitely provide an investment that gives you total value for money. VTP Bhagyasthan Talegaon is well-endowed residential project in Talegaon, Pune by VTP Realty that you should definitely consider when thinking about investing in Talegaon. Packed with high-end internal and external amenities, this development offers fabulous 1BHK and 2BHK apartments with carpet area sizes starting at 313.77 sq. ft. and going up to 448.21 sq. ft. VTP realty has always focused on Affordable Housing with zero compromises on luxury and the same applied to this development as well. Starting with a price of Rs.19.25 lakhs and moving up to Rs.25.31 lakhs, the apartments at this residential development are high on luxury, but low on cost. There are several payment plans along with easy home loans facilities, NRI services and more for a simplified investment. VTP Purvanchal is also a project from vtp realty in wagholi. The project is known for its strategically placed locations which makes it a centeral hub of pune as well as supremely affordable price! VTP Hilife Wakad launching their new residential project at Dange Chowk. These apartments are configured with 2BHK/3BHK bedrooms. At the location parking space is planned up to 3 levels and reserved 50000 Sqft for amenities including gym, clubhouse and playground etc.